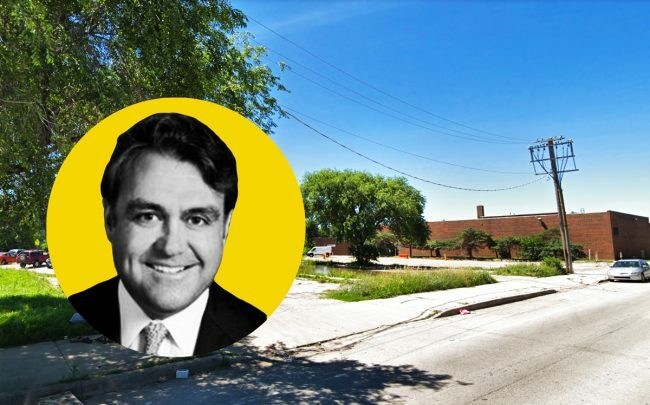 Hunt Companies and the Imagine Group filed plans to build a 482-unit mixed-income residential complex on the Near North Side, the latest step in the redevelopment of the former Cabrini-Green public housing complex. The homes would be spread among a 21-story building, an eight-story building and two clusters of townhomes, according to a zoning application submitted to the City Council on Wednesday. The homes would be a mix of rental and for-sale units, built on land owned by the Chicago Housing Authority. The CHA in 2017 selected Texas-based Hunt Companies to take the lead on redeveloping the 6.3-acre property at the corner of Larrabee Street and Clybourn Avenue. Chicago-based Imagine Group was selected as a co-developer. Now that the application has been filed, Hunt will bring the plan to community groups and consider tweaks based on public feedback, according to William Little, the company’s regional vice president for the Midwest. A Cabrini-Green resident group is also a minority partner in the development. Its participation was mandated under a 2000 federal consent decree that required the construction of 700 public housing units in the area. The new complex would be built on the site of the vacant former home of Near North Career Metropolitan High School, which closed in 2001. The west edge of the property faces the New City complex, which Structured Development completed in 2015. Plans show studio, one-bedroom and two-bedroom apartments in the larger buildings, with 36,000 square feet of retail space toward the southern end of the site. The retail would be “pedestrian-oriented, not destination-oriented,” Little said. Nearly half the units would be market-rate, about 15 percent would be rented at affordable rates, and almost 40 percent would be made available to residents on CHA waiting lists. The CHA has sought private developers to build mixed-income complexes throughout the 40 acres on the Near North Side where the Cabrini-Green Homes once stood. The complex, which once housed up to 15,000 residents, was demolished between 1995 and 2011. The Hunt development “will be one more puzzle piece falling into place” in the city’s long saga of replacing the units that were lost during the demolition, Little said. “This particular project represents an affirmation of the city and CHA’s commitment to all those families that were displaced,” he said. The project is one of several developments in the works in and around the former Cabrini-Green site. Holsten Real Estate Development is seeking city incentives help to build 134 apartments at Larrabee and Division Street, the final phase of the Parkside of Old Town development. The $61 million project would join an 88-unit townhome complex at Larrabee and Elm streets where Holsten last year launched sales. After the success of New City, Structured has turned its attention to the nearby Shops at Big Deahl complex. The developer also plans to build a 197-unit apartment complex on the site of the Menomonee Club community center at 1535 North Dayton Street, and in exchange will build a 50,000-square-foot center for the club at Shops at Big Deahl. Brinshore Development, meanwhile, is building a 104-unit mixed-income complex at the corner of Larrabee and Oak Street.